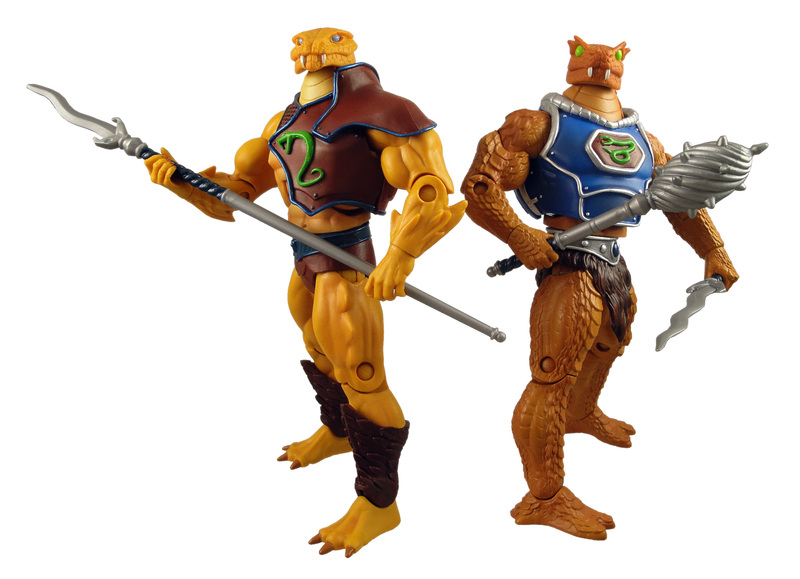 A hybrid of three cold-blooded alien races, the Snake Men were spliced together and bred by the Unnamed One to serve as loyal foot soldiers in his ever-growing army. 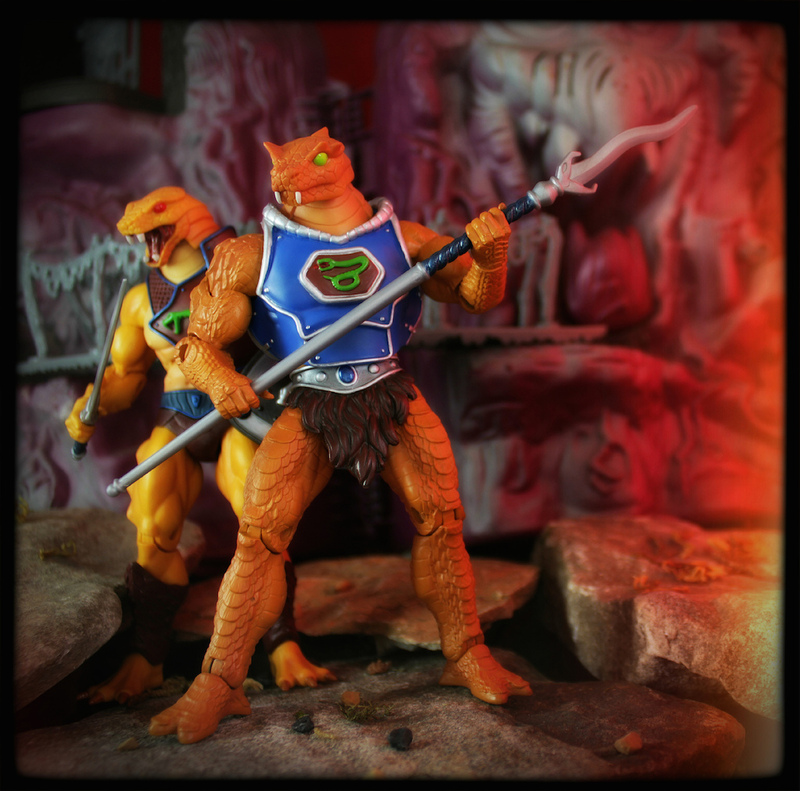 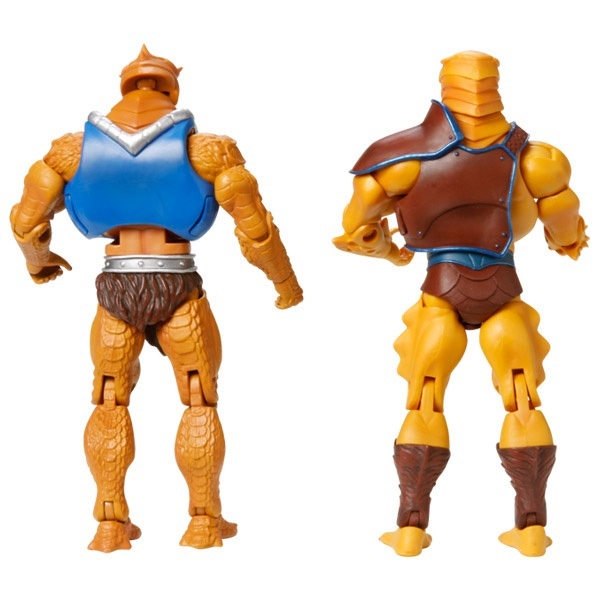 Several battalions of Snake Men were assigned to the Viper Lord King Hssss and traveled with him to Eternia to plunder its hidden magic for their formless master. 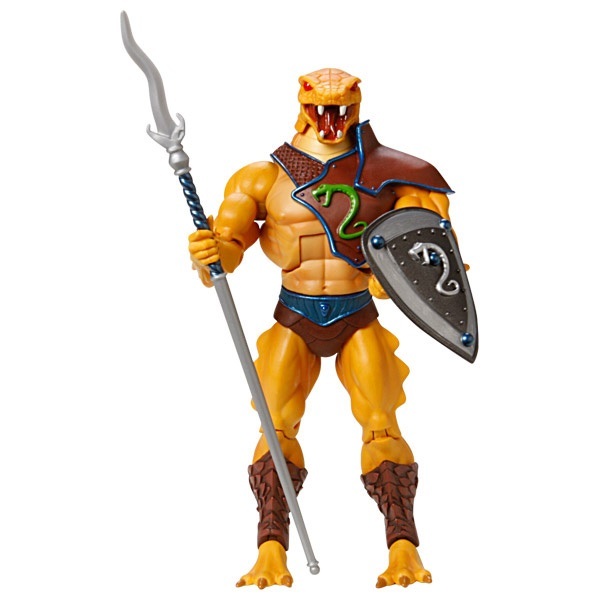 Unprepared for an attack by invading Horde armies, the Snake Army was driven into hibernation and eventually trapped in the Void by the warrior Zodak. 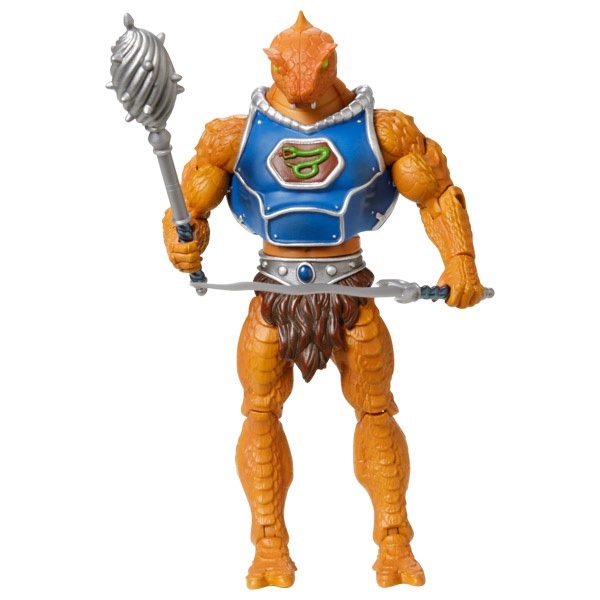 Five millennia later, Hssss and his reptile army escaped their imprisonment and once again took up the fight to claim Eternia. 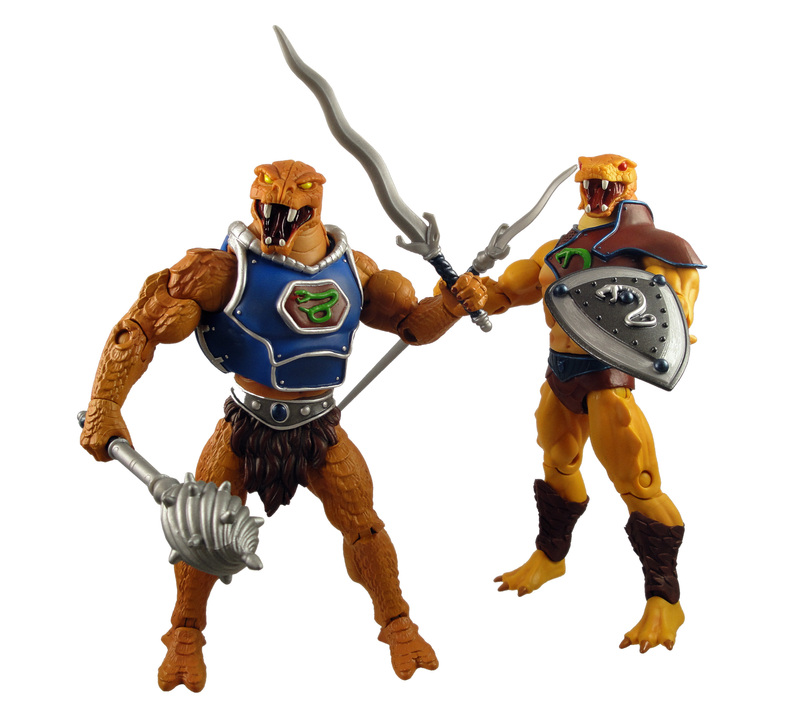 Snake Men fight loyally in the armies of King Hssss against the heroic Masters of the Universe.